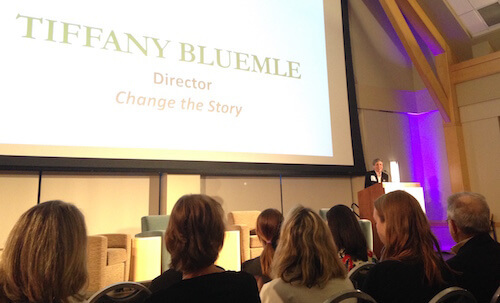 These remarks were given by Tiffany Bluemle, Director, Change The Story at The Vermont Women’s Fund Annual Benefit on October 4, 2017. “Two and a half years ago, in honor of its 20 anniversary, the Women’s Fund threw caution to the wind, linked arms with Vermont Works for Women and The Commission on Women, and declared that 32 years was too long to wait to close the gender wage gap. With the support and advice of community partners, Change The Story has since then produced four reports that paint a picture of what women earn, what they do for a living, and where they are and aren’t leaders. They can be downloaded from our website, there are some hard copies available at the back of the room. Suffice to say, what we found paints a picture that makes our point undeniably, absolutely, crystalline clear: we are not done with this work. And it is so important – not just because so many women struggle to make ends meet, and not just because Vermont faces a huge labor shortage. I think of the talent that we will never enjoy. I’ve often wondered what the world would look like if women headed half the world’s Universities, were half the world’s entrepreneurs, or half of its lawmakers. Or how differently we might define and address issues like affordable housing, incarceration, and climate change. And we cannot simply wait for the change. A month ago, I was preparing a talk for Champlain College’s incoming freshman class and was curious to learn how much had changed since they’d come into the world. In 1999, 3 states were governed by women. Today – it’s how many? 4. In 1999, the poverty rate for young women was 12% — it’s now 5 points higher. In 1999, the wage gap weighed in at 16%. Today, it’s … still 16%. Data is useful but it won’t change the story. 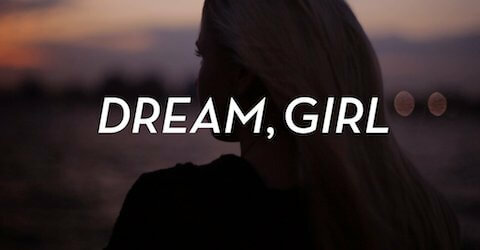 We will. You and I, educators and parents and employers who are struggling to find workers – if we are deliberate, if we are aligned, and if we persist even when our efforts fail to produce immediate results – we can move the needle so much faster together. There are so many ways. Because tonight is focused on women entrepreneurs, here are a few things we can do to support their growth, visibility, and vitality. Use your purchasing power as an individual or a business – make a point of buying from firms owned by women. If you have the means to invest – put some of your money into woman-owned startups. If you organize conferences or workshops for business audiences, ensure that women are featured as speakers or panelists. If you’re an established business leader, identify opportunities for you to connect women entrepreneurs to people who might be able to help – with funding or technical assistance or cheerleading. If you’ve enjoyed success as an entrepreneur, share the stories of project that failed or stalled or never produced what you’d hoped it would. It helps to know that the people we admire are human and may have stumbled, too. Offer financial or technical support to organizations that support women business owners – local resources like Mercy Connections or the Center for Women’s Entrepreneurship.